In addition to the work of the project team, Dr. Kathryn Frank’s Advanced Environmental Planning class of six PhD and three masters students will have a semester long assignment to translate the completed technical analyses for the upcoming public workshops this Fall. Showing their commitment to the project, the class took a field trip to the Matanzas Basin on Labor Day. 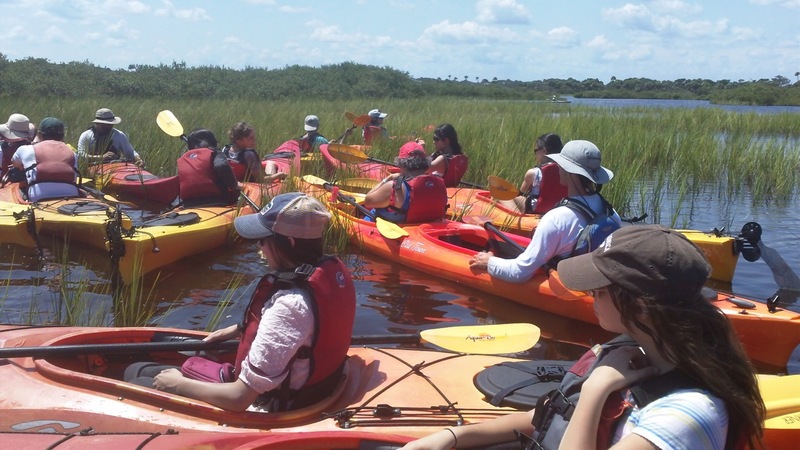 A highlight of the trip was a kayak tour of the Matanzas Estuary with Ripple Effect Ecotours. The class is excited to learn more about the communities and ecology of the Matanzas Basin, and to assist the region in planning for coastal change.